After a bit of a break Nash Da King returms with 21 Gun Salute, produced by Martian. 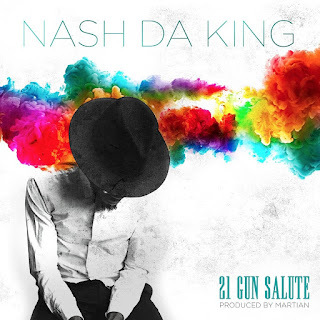 After a bit of a break Nash Da King returns with 21 Gun Salute, produced by Martian. A 21 gun salute is reserved for fallen heroes who died in military service. This track, however is a tribute to his young brother who he recently lost. Nash Da King's forthcoming debut album "LoveSickFools" drops on a date yet to be announced.